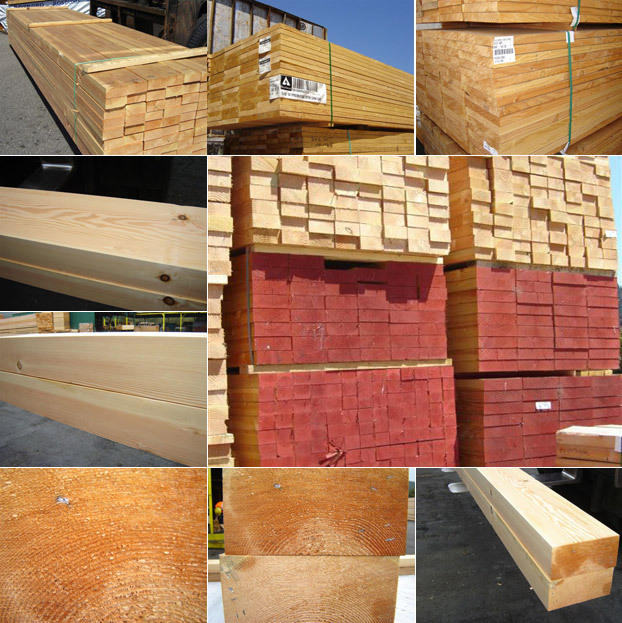 Conrad Forest Products maintains one of the largest inventories of Douglas fir dimensional lumber and timbers on the ground for immediate delivery. Our Douglas fir is of the highest quality produced and made available to you with grades ranging from #2 & BTR to Select Structural Dense, with the options of Free of Heart Center, and lite to no wane to satisfy your most discriminating customers. During the past sixty years, our experience and knowledge of the forest products industry has given rise to a varied inventory of building products consisting of glue lams, plywood, clear lumber, lattice panels, hardwood decking, specialty moldings and trim and premium outdoor furniture. Conrad Forest Products serves industrial, heavy construction, marine, and retail markets, and specializes in long-lasting building materials where wood destroying organisms exist or may be a threat. Our customers cover a wide geographical area. We supply the Western United States and other parts of the world with our full selection of building products. From the North Bend, OR plant (near the International Port of Coos Bay), and from our Rainer, OR plant on the Columbia River, we routinely ship to the Pacific Rim, Hawaii, Alaska, Asia, and South America. Conrad Forest Products’ newest facility in Arbuckle, California is the state’s only pressure wood treating plant designed for the new generation of alternative wood preservatives. This facility will provide logistic support for delivery of our products throughout California, Nevada, Utah and Arizona on time, on grade, and as specified, and with the quality you expect. We promptly ship by truck, barge, ship, rail, and air to meet your needs. We trust that our site contains enough pertinent information to complete your transaction, or at least supply you with a means to contact us so that we may answer any of your inquiries. We promise to respond to all of your inquiries be it by email, fax, or phone. Absolutely every order is important to us. We specialize in multi-dimensional lumber packages, be it small, large, or single item truckloads, but even one-piece orders can be accommodated. Remember, that it is you, our customer, that we depend upon for our livelihood. Our company philosophy has remained the same since our conception and is unaltered: We provide our customers with quality products, a wide range of choices, and consistent, professional service at a fair price.